A video art installation celebrating a link between the industrial grandeur of Salts Mill with the literary magic of Haworth's Parsonage is being filmed in Saltaire. Acclaimed contemporary artist Diane Howse, the Countess of Harewood, is re-making the connection between these two great places with The Silent Wild, an art work she is creating this week in the Mill's huge roof space. The resulting work uses a detailed floor plan of the Parsonage dining room, has been produced with choreographer Carolyn Choa and dancer Daniel Hay-Gordon. It will be shown at the Parsonage and at Salts Mill later this year, telling the unexpected connection between two of Yorkshire’s iconic buildings. Sir James Roberts, the second owner of Salts and an entirely self made man, was born to a family of weavers in Oakworth near Haworth. He attended the Sunday school of Reverend Patrick Bronte, and claimed to have met Charlotte Brontë in Haworth. When the chance came up to purchase the Parsonage, Lady Roberts suggested that her husband do just that. The same newspaper also has an article on the BBC Brontë biopic project. Re Jane is breezy and accessible, at its best when portraying Jane’s haplessness and frustration. “I traveled nearly seven thousand miles across the globe to escape societal censure only to end up in the second-largest Korean community in the Western World,” she says wryly of her childhood move to the U.S. Towards the end of high school, she encountered the inevitable question: what do you want to be after graduation? “Well, I knew I wanted to be a writer,” she said simply. Much like this columnist from Jezebel's Groupthink. Vulture reviews Nell Zink’s Mislaid. You know, Wuthering Heights--that peaceful, quiet novel where everyone just sits around drinking tea oh so civilly. La libre (Belgium) reviews the film too and is not the first to mention Andrea Arnold's take on Wuthering Heights. On the other hand, Knack Focus, another Belgian site reviewing the film, doesn't see similarities, but differences. 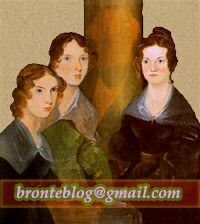 Bustle has also selected '8 Love Letters Written By Famous Women' including one from Charlotte Brontë to Constantin Heger.